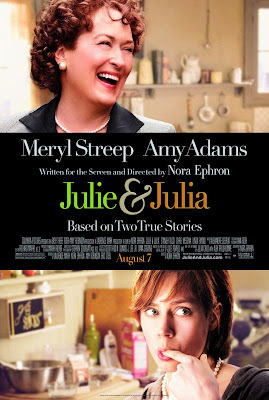 Just finished watching "Julie & Julia" on HBO. One of my favorite flicks. Don't get me wrong. I am no cook. I can't even fry a hotdog for the life of me, much more attempt to do something complicated as French cuisine. And, although I have heard of Julia Child and her quintessential cookbook, she is no heroine of mine. I do like to eat. And, boy, do I eat well...and hearty! But food in this film was just a mere prop. The real star of this film was not Julia Child nor Julie Powell, rather the process of discovering one's self by immersion in a passion project. Julie Powell was about to turn 30 but felt "lost" and "aimless;" stuck in a dead-end, thankless clerical job, feeling like she hasn't achieved or accomplished anything significant in her life while her so-called friends were in high-flying careers and raking in major moolah. At the time I watched the movie, I was a few weeks away to turning into the big 3-0. If you've read my first entry, you would know that at the time I started this "project", I was feeling a tad bit depressed. Basically, you feel that you've come to the halfway point of your life and you look back and discover that the things you have always dreamed of doing when you were young(er) were still...dreams. 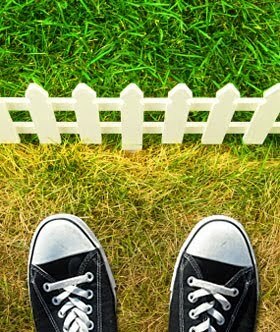 And, although other people would think that you are lucky or successful, you always feel that the grass is greener on your neighbor's side of the field. Just like Julie Powell who found redemption, a book deal, a film adaptation and 15-minutes-or-so of fame in her "The Julie / Julia Project" blog, I thought of starting a similar project to make sure that I get to accomplish my non-negotiables. At least my non-negotiables until I hit the next milestone -- 35 years young! And, since I have a knack for (or so I was led to believe by family, friends, English and Creative Writing teachers, and being accepted in my school's official newspaper) and have a shallow flirtation with writing, documenting my efforts and tracking my progress through a blog seems appropriate. Plus, it will push me to achieve something, anything for that matter, just to save face and not be declared as a farce. And, although my progress has been a bit slow (achieving 7 goals a year should be the target), progress is still progress is still progress. And that must count for something.